PHVC’s specialist School Minibus Team offer expert advice to help you select the right Minibus for your needs. We are very proud to be regarded as the UK’s leading supplier of Minibuses. Our staff will personally manage your School Minibus experience throughout, including the manufacture, sign writing and delivery of the Minibus to your school premises. Our qualified drivers provide a professional handover to ensure complete customer satisfaction. 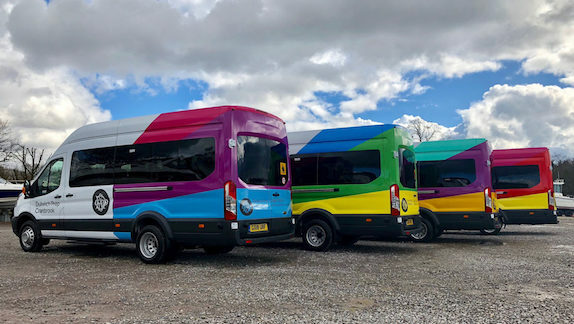 Throughout the process, whether it’s minibus leasing or an outright purchase, we will act as your Minibus Fleet Manager. Our fleet management includes monitoring annual MOT and mileage checks, safety checks where required, servicing/maintenance assistance and accident management. No Admin or Processing Fees! Please do not hesitate to contact one of our dedicated and professional team to discuss your requirements.